Have some records you want us to check out? No collection is too big or too small for us. Send us some info here and we'll be in touch! 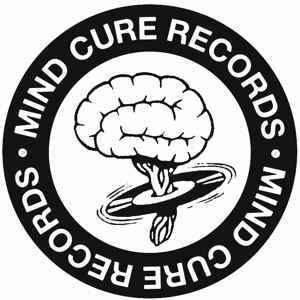 Mind Cure is able to handle collections of any size, having purchased collections of over 40,000 LPs, regularly purchasing 1,000-3,000 piece collections and we buy smaller lots of 100-1,000 records almost daily. Have some records you want us to check out? No collection is too big or too small for us. Send us some info here and we’ll be in touch! Not sure if we’ll take your old jazz records? Wondering if you have too many records or worried that you’re too far away? We’ve got those answers and many more. Give us a call or send us an email with as much information as you have on hand – relative size of the collection, genre, format, where you/the records are located and whether the records were yours or belonged to a relative – this helps us figure out if we are the right people to come and take a look. If you are emailing us, photos are helpful but it’s not necessary to make a list of each record, which can be very time consuming. We are based out of Pittsburgh but make frequent trips as far east as the Boston-area and west to the Cincinnati-area. If it sounds like you have records that we would be interested in, we will set up a time that works best for you to come and take a look. If you do have records that we are interested we will make you an offer, sometimes for all of your records and sometimes it is only a portion of them. This is case by case and there are too many variables to let you know what type of offer can be made before actually seeing the records.